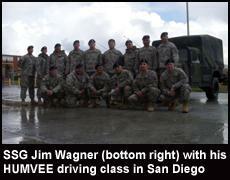 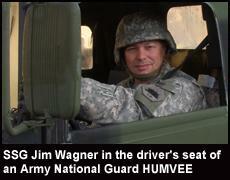 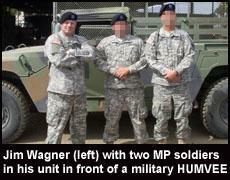 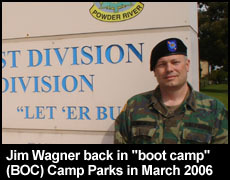 Sergeant Jim Wagner is a soldier with the California State Military Reserve (CSMR), which is the State Defense Force of California authorized by United States Code (32 USC 109c) and the California Military and Veteran’s Code (CM&VC 550), and is under the Uniform Code of Military Justice (UCMJ). 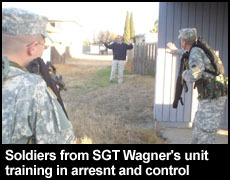 The California State Military Reserve assists the California Air and Army National Guard in assisting in the training and the mobilization of soldiers and airmen for theaters of conflict worldwide. 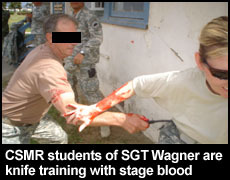 The CSMR also assists the CNG in its Homeland Security Mission by providing individual soldiers and airmen, as well as rapid response teams to Military Assistance to Civil Authorities, in the preparation, prevention, deterrence, preemption, defense, and mitigation of natural and man-made threats to California. 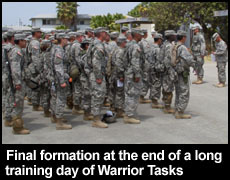 Both the California Army National Guard and the California State Military Reserve are under the California Military Department and subject to call to State Active Duty by the Governor of the State of California. 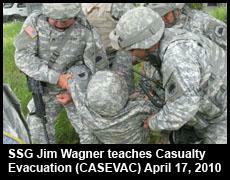 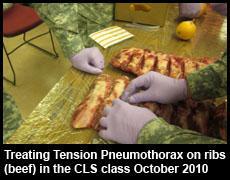 As of April 2008 there are 740 soldiers in the CSMR, with more than 23,000 men and women in the California Air and Army National Guard protecting a population of 37 million people covering a jurisdiction of 163,696 square miles (423,970 km²). 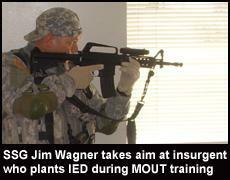 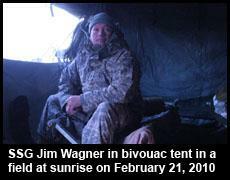 In the February 2008 issue of Black Belt magazine (United States) Sergeant (CA) Jim Wagner appeared on the front cover, including the feature article, appearing in his Army Combat Uniform (ACU) gripping a knife depicting his role as a hand-to-hand combat instructor to which he was assigned at the time of the photo shoot. 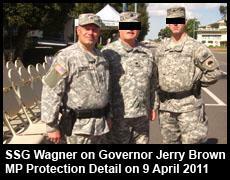 Permission to appear in an official military uniform was granted by Sergeant Wagner’s chain-of-command for the purpose of educating the public about the California State Military Reserve and other State Defense Forces in the nation. 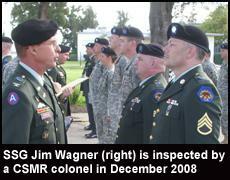 This publication was instrumental in attracting qualified individuals to join the CSMR, in which Sergeant Jim Wagner received a recruiting ribbon for his service, and it led readers from other states to contact their own State Defense Force recruiters. 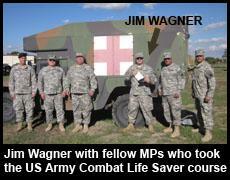 Concerning this issue Sergeant Wagner said, “This is a time in our nation’s history where we need good men and women in the Armed Forces. 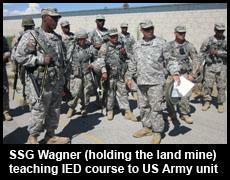 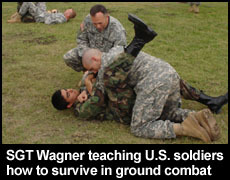 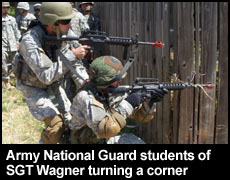 Both before the February 2008 issue, and after its publication, Sergeant Wagner has taught a variety of Military Police and combat units in combatives, Initial Force Entry, and a variety of Warrior Tasks as prescribed by the United States Army. 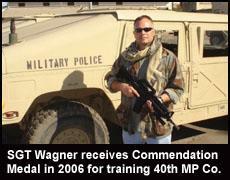 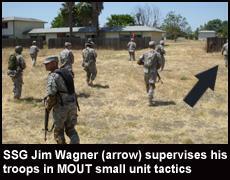 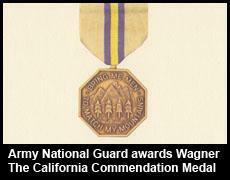 For his service in this area Sergeant Wagner was awarded the California Commendation Medal, presented by the California Army National Guard, for outstanding training.